Clark has a successful track record in leading and developing early stage ventures, specializing in hardware, clean tech, and technology service companies. 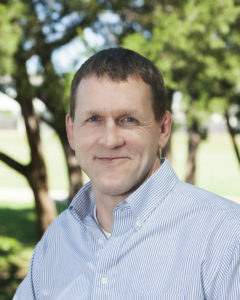 His 25+ year management career includes Venture Partner at Austin Ventures, VP/General Manager and Director of Engineering at Cirrus Logic, product development engineering and management at AMD, and equity research at Alex Brown. 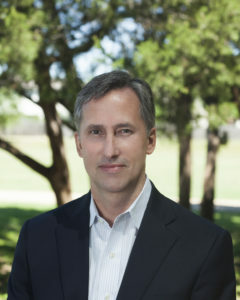 Clark holds an MBA from the Kellogg Graduate School of Management at Northwestern University, a Master’s of Electrical Engineering from Rice University, and a BS in Electrical Engineering from Texas A&M University. 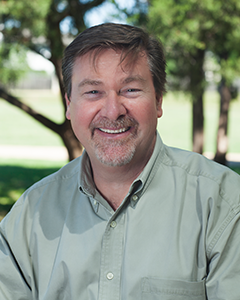 Sean has more than 25 years of metrology experience, specializing in optical and x-ray based technologies used for material characterization, yield engineering, and process diagnostics. He has held positions of CEO and VP of Sales at Metrosol, VP of Sales and Marketing at Jordan Valley Semiconductor and other technical and management positions at KLA-Tencor, Tencor Instruments, Prometrix Corp., and SEMATECH. Sean received his BS degree in Physics from Texas State University. Dale has over 20 years of experience in optical spectroscopy; more than half of which has been focused on the design and development of optical metrology systems involving vacuum ultraviolet light. He holds more than 40 patents and numerous technical publications. Dale was co-founder and CTO of Metrosol, and has held technical management positions at n&k Technology and Philips Analytical. Dale holds a Ph.D. in experimental physics from Simon Fraser University. Jack has spent 30 years in laboratories performing GC method development related to environmental, food safety, metabolomics, forensics, petroleum, and cannabis applications. He is a noted expert in sample preparation, GC-MS, and GC×GC, and is frequently an invited speaker at scientific conferences. Jack oversees the Applications Team at VUV Analytics as well as develop new applications for the award-winning VGA-100, VGA-101, and SVGA-100 gas chromatography and streaming gas detectors. 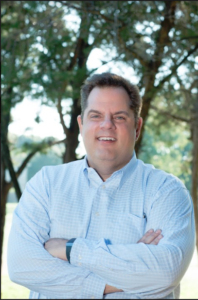 Jack previously served as Director of New Business and Technology at Restek where he led the GC Applications Team and contributed significantly to new product development. Ray Himmel joins VUV Analytics as the new Senior Vice President of Sales. 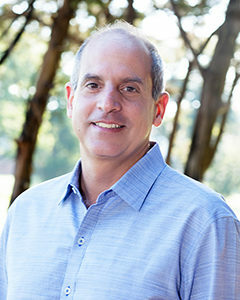 Ray most recently served as Chief of Operations/Executive VP at Rilas Technologies, Inc. and spent fifteen years at Waters Corporation where he held the roles of Sr. Director of Separations Technology New Business Development and Sr. Director of Sales. Ray has an extensive track record of leading both U.S. and international teams to exceed their sales targets by executing on strategic sales and marketing plans. His success in restructuring a Waters business unit in Germany to align with market dynamics led to his ascension to Sr. Director of Sales and subsequent roles. He has experience working in a broad range of industries including fuel refining, petrochemical, life sciences, biotechnology, chemicals, cosmetics, pesticides and food & beverage. A former US Marine, he studied Marketing at Northeastern University. 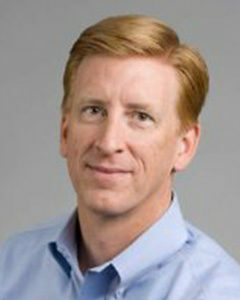 Kirk serves as Chief Finance Officer and is responsible for the company’s finances, operations and corporate policies. Kirk has over 35 years of experience and has held positions as Chief Financial Officer at Omni Water Solutions, Inc., Senior Vice President and Chief Financial Officer of Entorian Technologies, Inc., Chief Financial Officer, Vice President of Finance and Corporate Controller of Cirrus Logic, Inc. Additionally Kirk served as Regional Manager of Accounting Services of PricewaterhouseCoopers and held several positions with BP Amoco Corporation. Kirk received his B.B.A. in accounting from the University of Oklahoma and his M.B.A. from the Kellogg Graduate School of Management at Northwestern University. 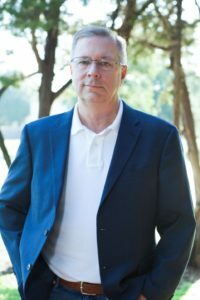 With over 20 years of experience in the analytical chemistry and technology markets Mr. Boler has worked for respected industry players like Waters Corporation and innovative technology startups like Persistent Systems and Optra Health, where Mr. Boler made an immediate impact on accelerating growth and revenue. Most recently, Mr. Boler served as the Vice President and General Manager for Optra Health, a technology startup focused on providing AI-based tools to the Life Sciences, Healthcare, and Analytical markets. 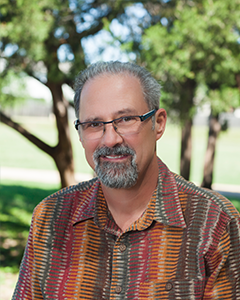 William Franco is the Vice President of Engineering at VUV Analytics with over 30 years of experience in high tech. William has an established track record of leading engineering teams, at multi-disciplinary levels, to scalability. His depth of experience ranges across his work at CISCO, TippingPoint (now Trend Micro), National Instruments and most recently Lifesize. At VUV Analytics William oversees new product introduction, in addition to continuous improvement of existing products and software. William has a BS in Electronic Engineering from the University of Havana, Cuba and an MS in Computer Engineering from Polytechnical University of Madrid, Spain. Rajiv Bala serves as Principle with S3 Ventures. His responsibilities at S3 include deal sourcing and structuring, due diligence, partner engagement and portfolio management. Rajiv’s investment focus includes software, internet/web, telecommunications, technology-enabled services, and medical device. Rajiv was a Marketing Manager at Texas Instruments where he led marketing for Automotive Infotainment in the North American region. Prior to marketing, Rajiv was an Applications Engineer with the Digital Radio Group at Texas Instruments where he helped grow the business from zero to over a million units shipped. 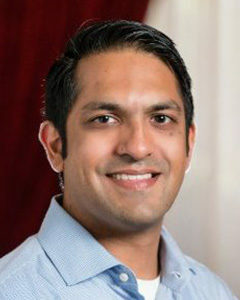 Rajiv holds a BS in Electrical Engineering and a BA in Economics from Rice University and an MBA from the University of Texas at Austin. 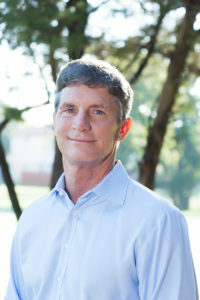 He currently sits on the board of Ascend Center for Learning and Texchange Austin. Vivek Mohindra joined New Science Ventures as a Partner in April, 2013. He serves on the Board of Directors of Caringo, Directed Sensing, Ferric Semiconductor, Mangstor, Vorago, BrightVolt, Fuzzy Logix and GlobalFoundries. He has previously served on the Board of Directors of Sensor Platforms (acquired by Audience). Vivek joined NSV from TPG Capital where he was an Operating Group Partner working with portfolio companies on strategy, growth and operational issues, and with deal teams on due diligence. Prior to TPG, Vivek served as Senior Vice President of Strategy and Business Transformation for Freescale Semiconductor and held several senior executive roles in Dell’s Product Group, Marketing division and as Vice President/General Manager of Dell’s North America SMB Group. 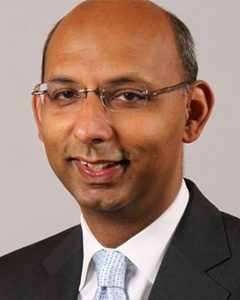 Vivek joined Dell from McKinsey & Company where he was a Partner. At McKinsey, he was co–leader of McKinsey’s global Semiconductor practice, as well as its Asian High Tech & Telecoms practices based in Seoul. Vivek holds a B.E. degree in Chemical Engineering from the Indian Institute of Technology (Roorkee) in addition to an M.B.A. and a Ph.D. in Chemical Engineering in Semiconductor Processing from the Massachusetts Institute of Technology. 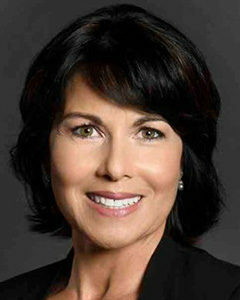 Jeannine is President of Innovation and New Ventures at Flextronics (NASDAQ: FLEX). Flextronics is a $26B Fortune Global 500 end-to-end supply chain solutions company. She oversees the company’s global innovation labs, design & engineering centers, office of the CTO and new venture investments for Flextronics. Jeannine brings over 25 years of international experience in technology markets including energy, electronics design & manufacturing, software, and capital equipment. Brian serves as the managing director of S3 Ventures, an earlier stage venture capital firm with $170M under management. Brian oversees all of investments.S3 invests primarily in Texas and the southwest. At age 29, he founded and served as chairman and CEO of Crossroads Systems (Nasdaq: CRDS). He led Crossroads through five rounds of venture, strategic and mezzanine financing and to a successful IPO in 1999. Brian ran Crossroads as a public company for nearly four years. For his efforts, he was awarded the prestigious Ernst & Young Entrepreneur of the Year Award in 2000. He spent the first seven years of his career in electrical engineering positions holding product development roles within the Technology Group of the IBM Corporation. Brian earned a BSEE with honors from the University of Cincinnati and an MSEE from Purdue University.